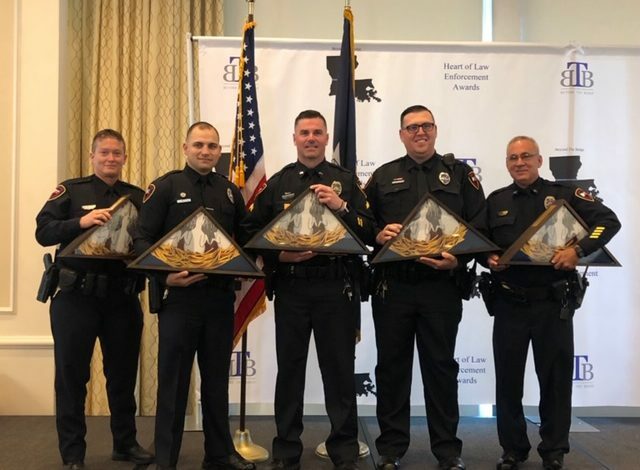 Six Lafayette Police Officers were recipients of the award. Amongst the six officers selected, one officer was also given the most prestigious award called the “Service before Self Award.” Nominations for the awards are sought from members of the public, fellow law enforcement officers, family members or anyone who wishes to recognize a worthy law enforcement officer. Lafayette Police would like to thank Beyond the Badge and anyone who nominated any of our six officers selected for this recognition.